Serendipity… a while ago, the question somehow came into my head – what if there had been some kind of intelligent species that developed an advanced civilisation on this planet 500 million years ago, and then somehow became extinct: would any traces of it still remain by now, and would we be likely to come across any of them? And then I found this book in a sale in my local library. Zalasiewicz looks at the question from the other end of the telescope, as it were, and asks what might remain of our civilisation in a hundred million years time for future explorers and archaeologists to uncover and deduce about us, but the idea is there. He puts homo sapiens and our relatively speaking tiny amount of time on the planet into perspectives of time and space, and offers a range of options about our possible future and for future explorers of Earth. It became clear that on a geological timescale humans are seriously affecting the planet’s climate, atmosphere and prospects for the continuation of life as we understand it, though he also says that it is too early to be sure in cosmic terms what the ultimate effect of this will be; what is sure is that it cannot be business as usual for very much longer. Zalasiewicz considers the nature of the traces humans will leave behind, and speculates in some depth as to what might happen to a range of human artefacts in different places over enormous lengths of time. The different chapters of the book are well-framed, with an opening paragraph imagining what the alien explorers a hundred million years in the future might be deducing about their finds; he does not seem to over-simplify as do so many ‘popular science’ texts. 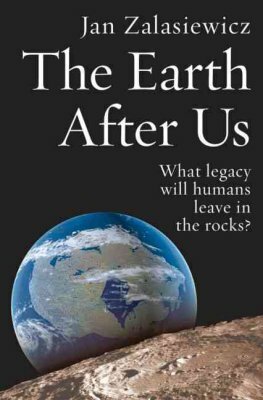 His picture of how time and geological process will inevitably skew any record of us that does survive, is quite sobering, as is his sense of perspective. Only one question remained for me at the end: will there be no trace of our nuclear waste to inform the future explorers? I remember I used to tell my students to aim to learn something new every day, and reading this book I really had the sense of learning a lot of new things.